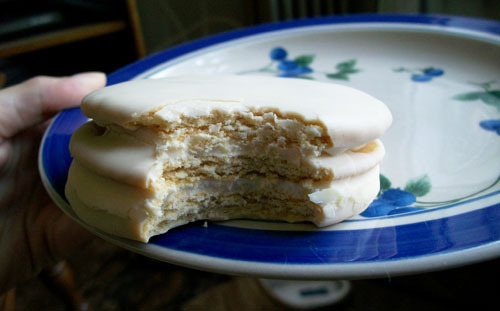 »Uncategorized»MoonPies: Why aren’t you eating one now? MoonPies: Why aren’t you eating one now? It all began when Mr. Earl Mitchell Sr., a bakery salesman, visited a company store that catered to coalminers. The miners said they wanted something solid and filling, because they often didn’t get time to break for lunch. “About how big?” Mr Mitchell asked. A miner held out his hands, framing the moon, and said “About that big!” When Mitchell returned to the bakery, he noticed some of the workers dipping graham cookies into marshmallow and laying them on the window sill to harden. The idea of adding another cooking and a generous coating of chocolate was tried, and samples of this new Moon Pie were distributed. The response they got back was so enormous that the MoonPie became a regular item for the bakery. It’s not clear why RC Cola goes hand in hand with it, but both cost a nickel which is hard to argue with. These days I prefer to eat MoonPies with coffee. ProTip: Heat it up for about 10 seconds. 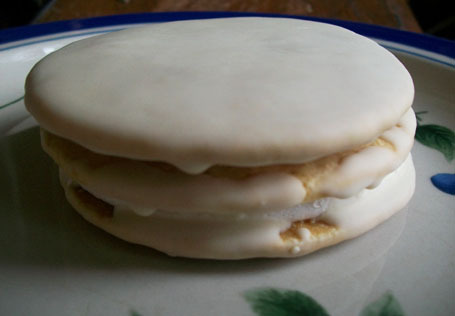 The marshmallow filling is delicious heated and the chocolate or vanilla melts just a wee bit. 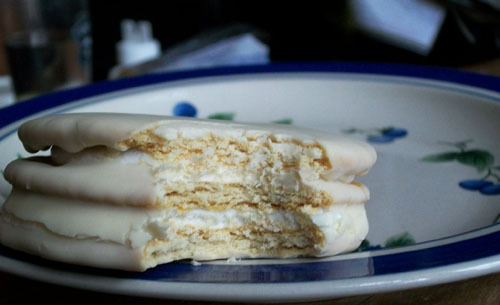 I grew up in Chattanooga, home of the Moonpie so it will always have a special place in my heart. MoonPies are truly a great southern invention. No problem Bakery Boy. 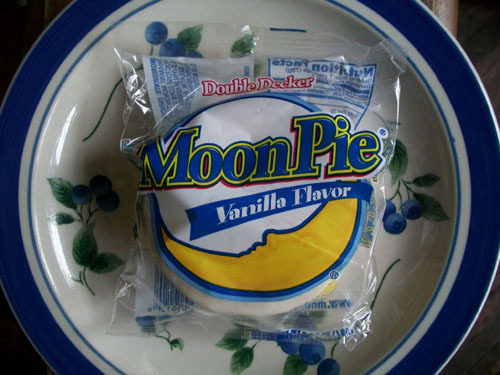 Thanks for posting about the Moon Pie drop (something I didn’t know about). I love Caputo’s but haven’t tried the Key Lime place. I’ll have to check out your posts on it. Cheers.